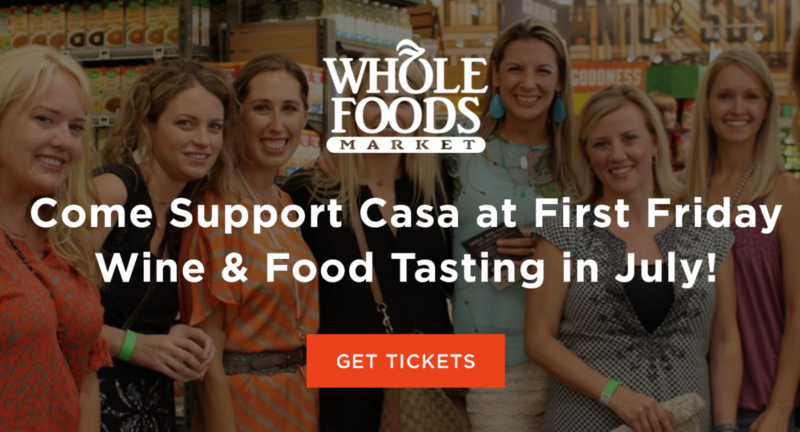 We’re thrilled that Whole Foods at the Domain has selected Casa Marianella as their July charity for First Friday! Whole Foods selects a different charity each month to raise money for at their ‘First Friday’ events, and we look forward to seeing what July’s event has in store! Tickets purchased at the door will be $15. Come sip wine and enjoy delicious bites from different departments within the store! The event takes place Friday, July 1, 2016 from 5:30 PM to 8:00 PM (CDT) and the store is located at Whole Foods Market Domain – 11920 Domain Dr., Austin, TX 78758. As always, we are so appreciative of this Whole Foods and the rest of the Austin community for continuously supporting and celebrating the work we do at Casa. Our goal is to not only connect our residents with resources and services in the community but to help them on the path towards self-sufficiency and independence as they start their new lives in the United States. We hope to see you there! We will have a booth and if you would like to volunteer for set-up or booth duty, please contact Sonia Singh at soniasinghmarketing@gmail.com.